‘Don’t judge a book by its cover,’ they say, but when negotiating with your publisher the image for the front cover of your book, the upmost thought in your mind is how people are going to judge it by its cover. A good cover needs to jump off the shelf and grab the potential reader’s attention. It needs to indicate the type of story contained within and be culturally sensitive to its contents. It should look good as a thumb nail, and work with the title to intrigue and seduce the reader. But, for me, the best cover is the type you fall into, that you flip back to and stare at intermittently to discover the image contains new meaning as you advance into the story. 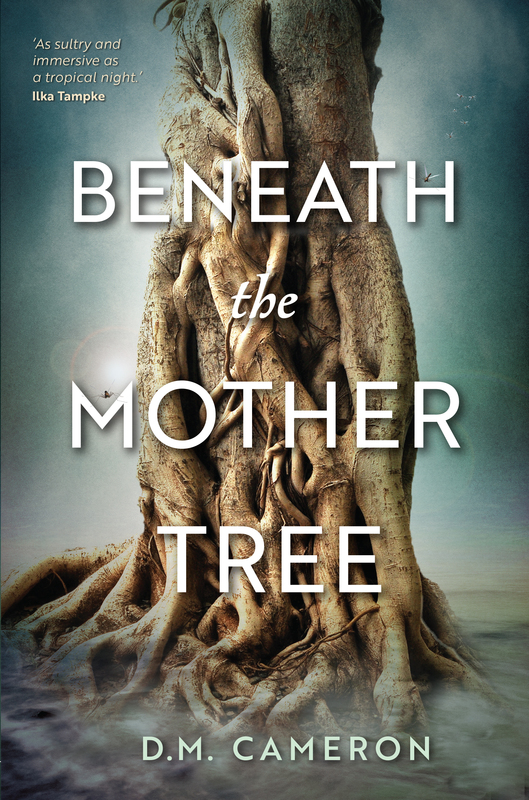 I adore the cover MidnightSun’s designer, Kim Lock, created for my debut novel ‘Beneath the Mother Tree.’ It is not the mother of a tree as described in my book, but it works on other levels which only become evident as the story unfolds. I am so grateful to my publisher Anna Solding, who was sensitive enough to listen and work with me on the decision for the final imagery on the cover. I have heard horror stories from novelists without agents to negotiate for them, who ended up with broken hearts over the cover of their book. My heart is captured every time I see this cover. Hope it makes your heart intrigued too. Feel free to leave me a message or contact me on Facebook, Instagram or Goodreads to let me know what you think.